Six of today's favorite Christian fiction writers have collaborated to bring you this thrilling array of novellas to keep you up all night! Explore with an archaeology student, go behind the scenes at a TV station, elude danger with a reporter or an attorney, follow the adventures of a crime scene cleaner or even uncover a sabotage plot at the White House! Each story is complete. 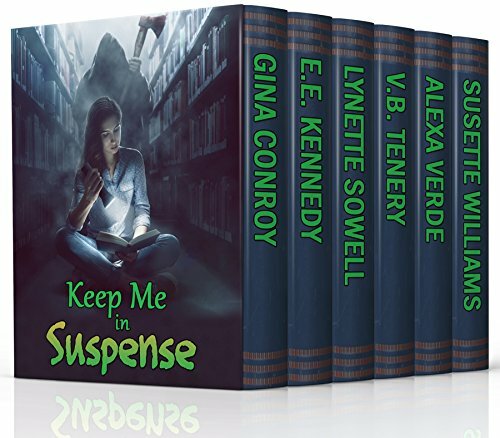 If you love mystery and suspense, chances are, you'll discover a new favorite author in KEEP ME IN SUSPENSE! Just 99c in Kindle or FREE to KU members!